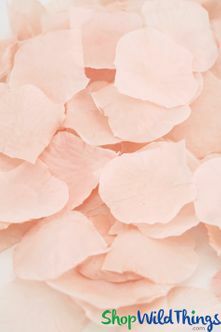 ShopWildThings is very proud of our vast inventory of floral selections and our bulk packages of Silk Rose Petals have long been a staple product of ours. 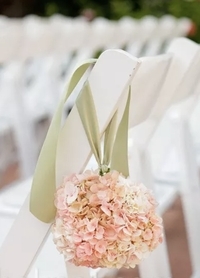 With a wide variety of colors to choose from, these petals have countless uses and they're an inexpensive way to add a ton of elegance. 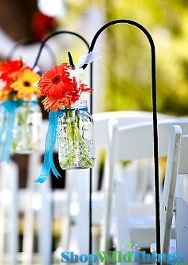 From invitations and centerpieces to aisle and dance floor decor or even to toss at the bride and groom! 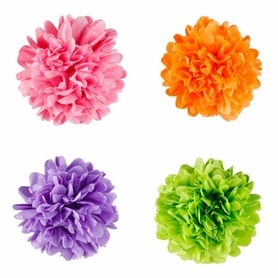 Another fantastic product is our Floating Foam Flowers that are a true decorating dream! These flowers are SO realistic looking and very durable. Great for flower girl baskets or even for decorating cakes and cupcakes, these floating beauties add sophisticated style to a fountain, pool or any water feature. For do-it-yourselfers, the flat bottom on these flowers make them ideal for crafters to pin or glue to your project. You can also adorn these with sticky backed rhinestones for added bling. Whether your event is inside or outside, traditional or unconventional, elaborate or no-frills, chances are flowers will be in the picture but face it � real flowers are high maintenance, temperature sensitive, hard to transport, cost a fortune and who needs all that!? Make your life easier with reliable silk and foam flowers!